The quality of our ingredients is really important to us and there is nothing better than sourcing high quality produce from local suppliers. We are fortunate in the Cotswolds with so many high quality farms and producers around us, with whom we have built up strong relationships. 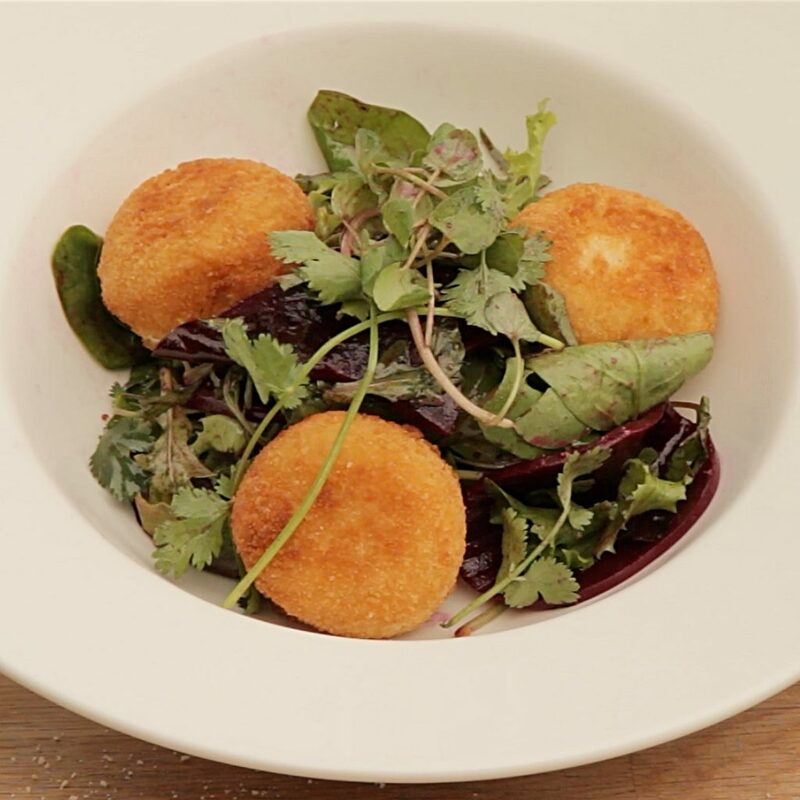 This dish is a great case in point…the goats cheese comes from the highly acclaimed Windrush Valley Goat Dairy. The milk comes from Windrush Valley Dairy’s own herd of pedigree British Saanen goats. Produced ‘on the estate’ using only traditional cheese-making methods. Place the sliced beetroot over laping each one on the plate, dress the leaves in the centre, meanwhile deep fry three goats cheese disc`s and drizzle the walnut dressing over, serve! !